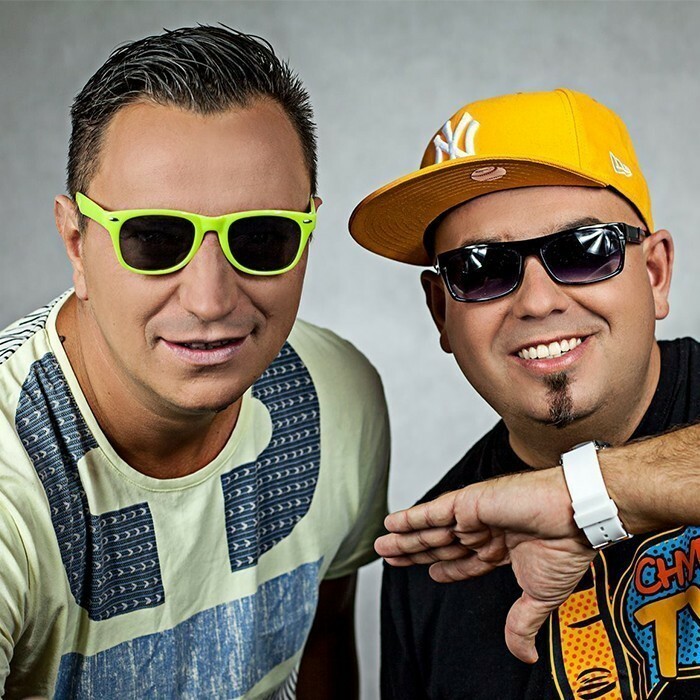 Long & Junior came to life in 2010 when Long and Junior came up with an idea to make a professional video clip for one of their best productions “Tańczyć Chcę” (I Wanna Dance). The date of the clip was set for August 2010 and that’s when it happened. Exactly on 6 August the video clip the fans had been waiting for was released. Right after that, still in August was the premiere of their latest album: “Bo ja tańczyć chcę” (Because I Wanna Dance). The album reached the shops on 18 August 2010 and became a bestseller on the dance music market in Poland and abroad. In 2012 another 2 hits were released: “Kocham Cię” (I Love You) and “Taka jesteś” (This Is What You Are Like), which reached over 2 million views in just 2 months after its release. The popularity of Long & Junior has since skyrocketed. They did not quit making music after the success of “Taka jesteś” (This Is What You Are Like), and in 2013 released the great hit “Tańcz, tańcz, tańcz” (Dance, dance, dance).